Bristol Rovers condemned Alfreton to relegation but their win was not enough to secure the Conference title. 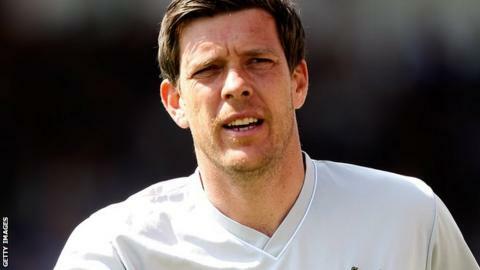 Darrell Clarke's side, who dropped down from League Two last season, began the final day a point behind leaders Barnet and needed the Bees to slip up. But Barnet were 2-0 winners against Gateshead, meaning Rovers must go through the play-offs if they are to return to the Football League. Matty Taylor scored two of Rovers' seven goals in a convincing home win. Jake Gosling, Ellis Harrison, Lee Mansell, Andy Monkhouse and Tom Parkes also found the net for the Pirates, who will meet Forest Green in the play-off semi-finals. Gosling's curling shot from 25 yards was the pick of their goals, while Harrison scrambled in to double the lead. Taylor found the net either side of half-time, the second a header from Monkhouse's cross, to make the game safe. And Rovers enjoyed a late flourish in front of a crowd in excess of 11,000, with Mansell heading in a fifth before Monkhouse and Parkes completed the rout in the dying minutes. Match ends, Bristol Rovers 7, Alfreton Town 0. Second Half ends, Bristol Rovers 7, Alfreton Town 0. Goal! Bristol Rovers 7, Alfreton Town 0. Tom Parkes (Bristol Rovers) header from the left side of the six yard box to the bottom left corner. Assisted by Lee Brown with a cross. Andy Monkhouse (Bristol Rovers) hits the bar with a header from the centre of the box. Assisted by Jake Gosling. Goal! Bristol Rovers 6, Alfreton Town 0. Andy Monkhouse (Bristol Rovers) right footed shot from the centre of the box to the bottom right corner. Assisted by Daniel Leadbitter with a cross. Goal! Bristol Rovers 5, Alfreton Town 0. Lee Mansell (Bristol Rovers) header from the right side of the six yard box to the bottom right corner. Assisted by Lee Brown with a cross. Attempt missed. Angelo Balanta (Bristol Rovers) right footed shot from the centre of the box misses to the right. Attempt missed. Tom Parkes (Bristol Rovers) header from the centre of the box misses to the right. Assisted by Lee Mansell. Foul by Joe Ironside (Alfreton Town). Substitution, Bristol Rovers. Daniel Leadbitter replaces Tom Lockyer. Matty Taylor (Bristol Rovers) wins a free kick. Attempt blocked. Joe Ironside (Alfreton Town) right footed shot from outside the box is blocked. Massiah McDonald (Alfreton Town) is shown the yellow card for a bad foul. Attempt saved. Jake Gosling (Bristol Rovers) right footed shot from the centre of the box is saved. Substitution, Bristol Rovers. Angelo Balanta replaces Ellis Harrison. Attempt saved. Joe Ironside (Alfreton Town) right footed shot from outside the box is saved. Substitution, Alfreton Town. Massiah McDonald replaces John Johnston. Attempt missed. Jake Gosling (Bristol Rovers) left footed shot from outside the box is too high. Attempt missed. Ellis Harrison (Bristol Rovers) right footed shot from outside the box misses to the right. Attempt saved. Andy Monkhouse (Bristol Rovers) left footed shot from the left side of the box is saved. Substitution, Alfreton Town. Joe Ironside replaces Jake Speight.